Last week we rounded up the best summer holiday courses and camps in North London and we continue our series on the summer holidays, with a round up of all the best theatre for children this holiday. There are loads of great things on for families this weekend all over London. 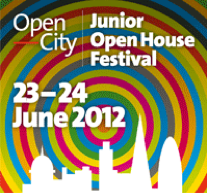 Our highlight of the weekend is the Pop Up Festival Of Stories that's happening in Kings Cross all weekend. Best of all, all of the events are free. There's games, films, readings and so much more. It sounds absolutely fantastic. Competition! Win a £50 gift voucher with Experience Days! Feel the need for some pampering? 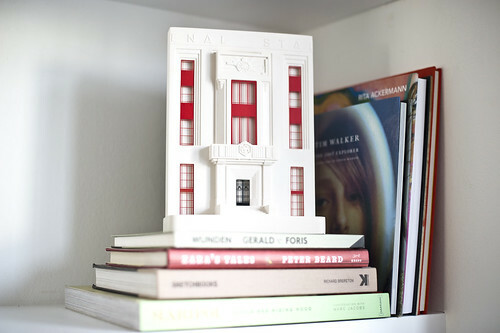 Looking for an unusual gift idea? We have the answer! North London Mums has teamed up with Experience Days to offer a £50 gift voucher to one lucky reader! Did you used to write but now can't find the time? Do you find being a parent inspiring but are too tired to take time out to think and reflect on why and how? Would you like to pick up a pen again or perhaps for the first time? Join our relaxed writing group to encourage your creativity and learn new skills - and who knows, maybe pen your bestselling novel! North London Mums has a really useful directory of local North London businesses and every week we will introduce you to one of the businesses who advertise with us. This week we want to tell you about Writing Parents, who run creative writing groups for parents and advertise in our Activities and Classes for Parents section. If you are looking for an enjoyable summer read and you like stories that combine romance with interesting period detail, you could try Camilla Macpherson's Pictures At An Exhibition. We really enjoyed reading it and were very happy when Camilla, a North London mum herself agreed to answer a few questions about the book and how she wrote it. It's the weekend! What's on 23 and 24 June for the kids! There are so many fantastic things on this weekend we cannot wait. West End LIVE takes place 11-3pm Saturday and 12- 5pm Sunday. West End LIVE showcases the quality and diversity of entertainment on offer in the heart of London, promoting the West End as an exciting venue for all the family – all live, all for free in the iconic setting of Trafalgar Square. The event features showcase performances from every West End musical, live bands and a wonderful array of interactive exhibits from many of London’s top museums, galleries and cultural institutions.The schedule of events is here. Free. Suitable for all ages. It's hard to believe that the summer holidays are nearly upon us, but they are coming fast. In the run up to the holidays we'll be bringing you a series of features on the best things to do in North London over the summer holidays, some of which you need to book up for in advance and some not. We hope you'll find it useful. We'll update them all as we get nearer to the holidays so please do tell us if we missed anything great. Father's Day Weekend - What's on in North London? Here are this weekend's highlights. Arts Depot is showing the appropriately named Little Sunshine, Little Rainfall this weekend - Meet head-gardener Little Sunshine and still-learning gardener Little Rainfall in their magical garden. When naughty Storm Fox pays a visit all the creatures in the garden must think quickly to save their homes and families. Perhaps wise old Turtle has the answer? Showing at 12 and 3pm for ages 3-7. 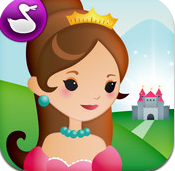 Appy Monday- write your own fairytale with Princess Fairy Tale Maker! We love the Duck Duck Moose apps, but their latest app, Princess Fairy Tale Maker, is quite different- it allows you to create your own fairy tale- and frankly it's brilliant! If you are still fired up by the Jubilee, then head to Kensington Palace to visit the exhibition- Jubilee, A view from the crowd, which explores Queen Victoria's Diamond Jubilee from the point of view of those who celebrated it, from duchesses to newspaper sellers. Half Term in North London - what's on this week?